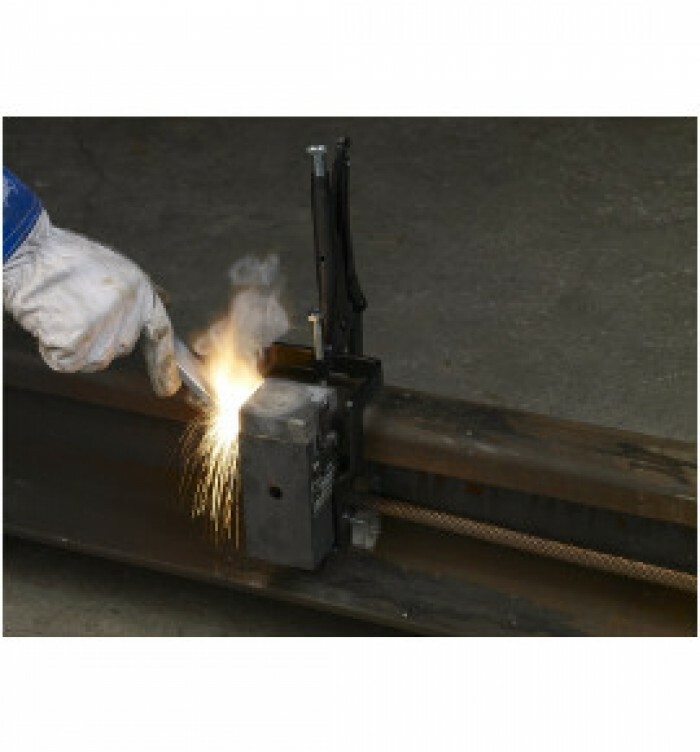 This weld process utilize the high temperature of the reaction between copper oxide and aluminium. 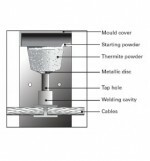 The reaction happens in a graphite mould crucible, into which the pieces to be welded have been inserted. The molten metal from the aluminothermic reaction flows over the piece causing them to melt and fuse into a solid homogeneous mass. The reaction is weld point so quick that the pieces to be welded get lower temperature on the zone around . 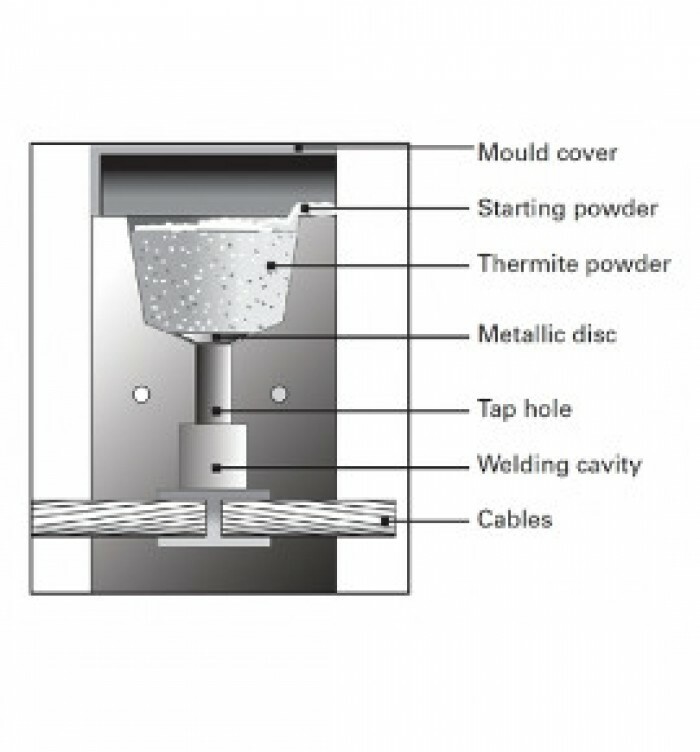 The WELD connection is a perfect molecular weld and not just a mechanical contact. Connections are not affected by high current surges. Tests have shown that the electrical conductors will melt before the connection when subjected to high short-circuit current. Connection conductivity is at least equal or greater than the conductors welded. There is not possibility of corrosion at the point of the weld, since conductors become an integral part of the connection. - number of Conductors to be bonding.